The Fame Monster Is Coming! By this time tomorrow, I hope to have tickets for Lady Gaga's Monster Ball Tour in New York City. Tickets go on pre-sale tomorrow, so who knows if I'm going to look but I'm hoping and praying that my friend can be a total rock star and hook me up. Pre-tour, of course, is the release of Gaga's The Fame Monster, which essentially is a brand new album. 8 brand new tracks accompany Gaga's Platinum-selling debut album. Of course, Gaga's label is really promoting the hell out of this special edition, which is more than just a simple re-release. The Fame Monster is available in a multitude of different special packages. 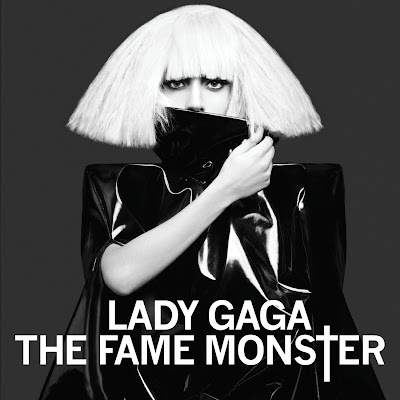 Here's the rundown of what's what regarding The Fame Monster. (I'm still debating which one I want!) The 8 new tracks included on all editions of the re-release are "Bad Romance" (RedOne), "Alejandro" (RedOne), "Monster" (RedOne), "Speechless" (Ron Fair), "Dance In The Dark" (Fernando Garibay), "Telephone" (Rodney Jerkins), "So Happy I Could Die" (RedOne), and "Teeth" (Teddy Riley). * 8 new studio recordings with production by RedOne, Rodney Jerkins, Teddy Riley, Fernando Garibay and Ron Fair featuring the smash single "Bad Romance" and "Telephone"
Picture disc LP of Lady Gaga's 'The Fame Monster'. Features 8 new tracks. Blonde image on A side, brunette on B side. 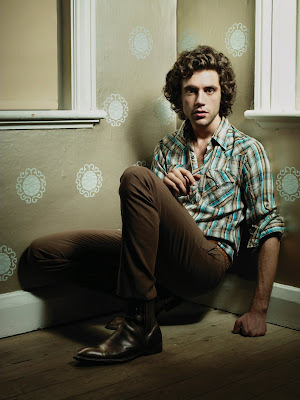 One of my favorite singers MIKA releases the second UK single off of The Boy Who Knew Too Much on November 22nd. Due to be released in both digital and physical CD formats, there are some nice bonus tracks and remixes in this little package. I'm particularly excited to hear his cover of Lady Gaga's modern dance classic, "Poker Face." No word at the moment whether any of these goodies will be released here in the States...but you could always order the import single! Buy the album now on iTunes!